Welcome Home to this stunning Winter Garden golf cart district home situated along the West Orange Trail! 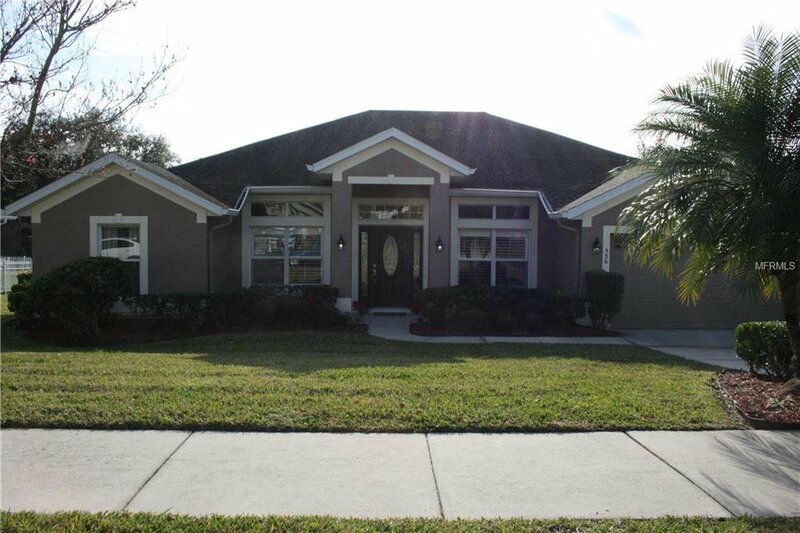 Surrounded by mature landscaping, beautiful Florida Maple trees, you are immediately drawn to the curb appeal. The open floor plan is perfect for entertaining. With formal living and dining rooms, a kitchen boasting Whirlpool appliances and tons of cabinet and counter space. Opening to the family room and a breakfast nook that all flow out to an extended screened patio overlooking the quiet, beautiful conservation. The spacious master bedroom has two walk-in custom closets, duel sinks, a separate shower and soaking tub. New upgrades to the home include: AC unit (2018), Exterior paint (2018), a shed, new garage door opener system, plantation shutters, and patio extension. The home is a must see! Listing courtesy of KELLER WILLIAMS AT THE LAKES. Selling Office: OAK AVENUE REAL ESTATE LLC.